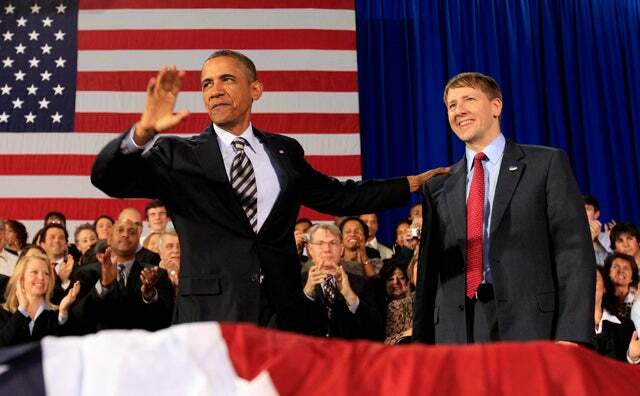 The White House announced Wednesday that President Obama would recess-appoint Richard Cordray as chairman of the new Consumer Financial Protection Bureau, and three new members to the National Labor Relations Board. There’s just one problem: The U.S. Senate is not in recess. The decision to appoint these officials nonetheless appears to contradict the Obama administration’s own stated position on the issue. CHIEF JUSTICE ROBERTS: And the recess appointment power doesn’t work why? Heritage’s Todd Gaziano called Obama’s move a “tyrannical abuse of power.” Gaziano explained earlier today that the Senate is not even in a recess, which would allow a recess appointment. The Constitution, in Article I, section 5, plainly states that neither house of Congress can recess for more than three days without the consent of the other house. The House of Representatives did not consent to a Senate recess of more than three days at the end of last year, and so the Senate—consistent with the requirements of the Constitution—is having pro forma sessions every few days. In short, Congress is still in session, and no one in Congress is saying (or can reasonably say) otherwise. It does not matter a wit that most Members of Congress are not in town voting on legislation, because ending a session of Congress requires the passage of a formal resolution, which never occurred. The President’s purported recess appointment of Cordray would render the Senate’s advice and consent role to normal appointments almost meaningless. The case in which Katyal made his comments about recess appointments appears below. The exchange with Chief Justice John Roberts appears on page 50.